"The impact of the civil rights movement differed from person to person, family to family, town to town. In the end, few escaped its long reach. Some white southerners attested to liberating experiences that forever altered their racial attitudes and behavior. Others found new ways to resist racial equality. Many more clung to any sense of normalcy they could salvage, at times willfully ignorant of the tumult around them. Still, change seeped into life -- in ways whites had barely conceived and scarcely contemplated." This is the central argument of There Goes My Everything . Its author recently received a PhD from the University of California, Berkeley, working under the supervision of Leon Litwack, the distinguished and influential historian of slavery. It's difficult not to approach Sokol's book with sheer astonishment that it has been written by one so young -- to paraphrase Doctor Johnson, to remark not that it is done well but that it is done at all -- but in truth, just about any scholar in the field would be happy to claim There Goes My Everything as his or her own work. Sokol does recapitulate too many twice-told events in civil rights history, but he has read a huge amount of material ignored by others -- the personal testimony of whites whose lives were changed by the movement -- and his account of what happened to them is sound and perceptive. This, as it happens, is a matter of which I have intimate personal experience. My family moved from the North to Virginia in 1948, when I was 8 years old, and I lived in the South for most of the ensuing quarter-century. I was a student at Chapel Hill as the university there struggled with issues of desegregation, and I was the editor of its student newspaper when sit-ins and other protests began in 1960. For a decade, between 1964 and 1974, I lived 50 miles away in Greensboro, N.C., where my young sons were bused to school across town as part of the racial-balance undertaking and where my white friends and acquaintances of all ages struggled with their histories and their consciences as rising black activism and anger forced them (and me) to reexamine themselves. During the same period, my father also was caught in the struggle, as the private girls' school in Virginia of which he was headmaster admitted its first African American students. The whites who made the headlines and the newscasts, as Sokol says, generally were those who resisted civil rights most noisily, aggressively and violently: women in New Orleans screaming at black children as they entered previously all-white schools, policemen in Birmingham turning fire hoses on blacks of all ages, Klansmen in Mississippi and elsewhere killing blacks and their "outsider agitator" white supporters. Many whites who were comfortable in the old segregated order and had no desire to change it nonetheless were appalled by the mobs, which "peeled any layers of respectability from the pro-segregation position" and "threw many whites who thought they inhabited a middle ground into the flames of a revolution." To some degree, this was a matter of class. Whites who fancied themselves genteel looked down their noses at whites who shouted insults and threw stones, but it was far more complicated than that. Education, wealth and position were no guarantees of white friendliness to the black cause; "white flight" was largely a middle-class phenomenon, the White Citizens Councils were organized by civic leaders, and the country clubs of the well-to-do remained firmly closed to all blacks save those who carried towels and trays. On the other hand, some of those whose attitudes were changed by revulsion against the mobs were working-class whites whom the genteel commonly dismissed as rednecks; Sokol writes about a white New Orleans resident, Margaret Conner, who "detested members of the mobs for their crass tactics, and for their assumption that they could impose their will upon an entire community," and "eventually helped to break the white boycott of New Orleans public schools." Some people -- not all, but a considerable number -- discovered that "they could learn to live with, if not embrace, integration." As one man said: "Maybe it will be like cold water in a swimming pool. Once you've been in awhile, you get used to it and it just isn't so freezing after all." A lawyer in Louisiana spoke more crudely but to the same point: "I don't like all this. I never did and I won't -- ever. The nigra doesn't even want what those civil-rights types keep saying . . . . There's nothing to do but go on. We've got to take it and most of the time we just forget about the whole thing and just go about our business. The nigra likes his people and we like ours, and if there's mixing in libraries or restaurants, that's O.K. It won't bust us; we know that, now." The lawyer's insistence that ordinary blacks didn't want what activists did reflected one of the most common beliefs among Southern whites: that " 'their Negroes' were happy," that, as one white college student wrote, "The majority [of blacks] are happy and content over the way things used to be . . . . The majority of the Negroes do not want to go to school with us." To many whites, one of the most shocking discoveries of the period was that they didn't really know their "good Negroes" at all, that blacks were anything except content, that they were angry and were no longer willing to stay in "their place," that they thought they had as much right to be addressed as "Mr." and "Mrs." as did whites. To many, this discovery was nothing less than shattering; it removed one of the essential foundations of the old order, leaving them bewildered. Some whites retreated into resistance at worst, denial at best. 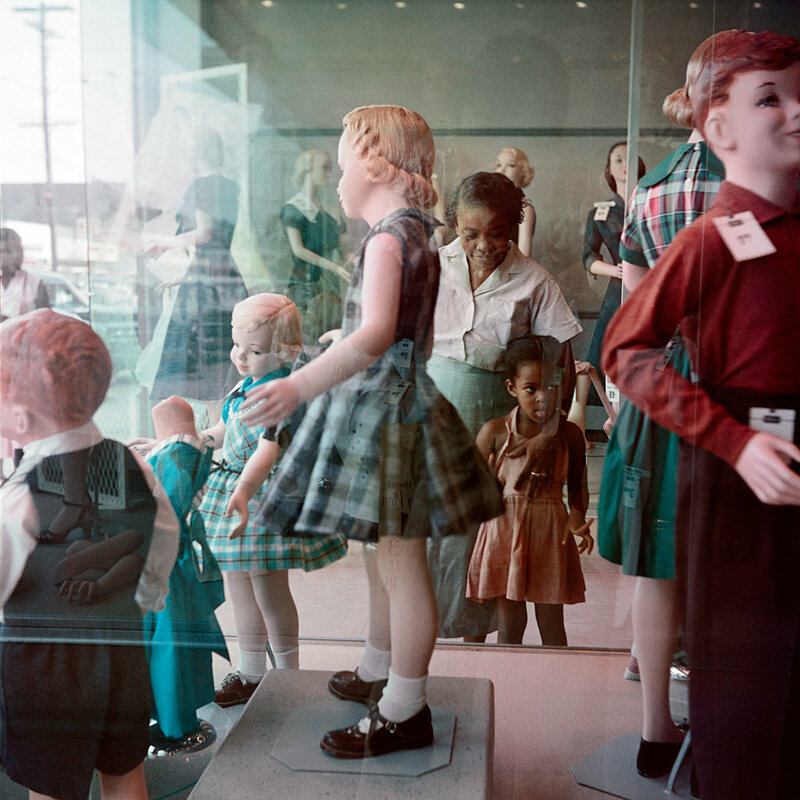 Privileged whites retreated into "a world of safety valves, one that included all-white private schools, country clubs, and expensive suburbs," as well as into a radically altered Republican Party that by the late 1960s employed code language (most notably "law and order") to play on white fears of black advances. The Republicans "drew in some white southerners who, earlier in the decade, had stood horrified at the sight of segregationist mobs" but now "deplored riots, feared a civil rights struggle shorn of its nonviolent heart, and chafed under court-ordered school integration, busing, and the tax burden imposed by an active federal government." There also were whites who underwent epiphanies, who acknowledged their prejudices -- often after painful self-inquiry -- and moved beyond them. Some people, such as Virginia Durr of Alabama, felt that "the Negroes . . . are struggling to free us all," or, as James Baldwin wrote: "We, the black and the white, deeply need each other here if we are really to become a nation . . . . The price of the liberation of the white people is the liberation of the blacks." Some people understood that they had been swept up in one of those rare moments when history becomes a living presence that alters the existences of those who usually are oblivious to it. 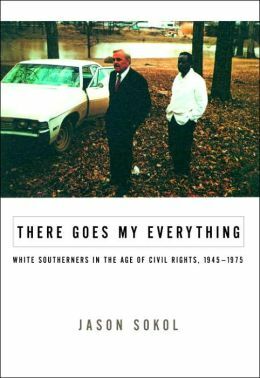 CLICK HERE TO WATCH Jason Sokol talk about his book There Goes My Everything: White Southerners in the Age of Civil Rights, 1945-1975, published by Knopf ON C-SPAN.